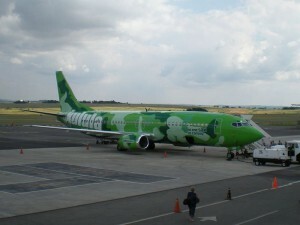 Last minute flights can be found on kulula.com. Sometimes, booking a last minute flight is a necessity. You may have no other option than to take a ticket when the plane is nearly due to arrive. Such problems include a sudden visit to a family member, a need to change plans quickly, or even just so that you can take advantage of some of the great deals that are out there. Traditionally, only the person who booked in advance could expect to get a discount, and so most flights which are taken at the last minute are likely to be more expensive. However, if you really need a discount on your ticket, and are prepared to look hard in order to find it, then you may be able to get a discount on your last minute flight. The majority of last minute travellers are desperate to get somewhere, and so the airlines know that they can charge more for these tickets. However, by choosing to look online at particular websites, you may be able to find a discount on the cost of your flight. In addition, because airlines have been hit as hard by the economic downturn as the rest of the population, they need to fill their seats in order to preserve revenue. This can mean that tickets will suddenly fall in price shortly before a plane is due to leave. If you are travelling at the last minute due to an emergency, such as an accident or an illness in the family, then you could also find that you will get a discount on your trip. Many airlines are sensitive to the needs of the distressed traveller, and so you may be able to get a low-cost alternative ticket which will help you save money. Be prepared to offer proof of the accident or illness, often in the form of official documents, before you receive this discount. For those who are just desperate to get on a last minute flight, then you will have no alternative but to seek a discount in other ways. Sometimes people resort to ringing the airline, and seeking to get a reduction in cost directly from the airline. It is possible that you can get money off in this fashion, but you should be aware that it is not very likely, and there is a big chance that you will have your request refused. The other alternative is to seek low-cost tickets on last-minute websites. These offer a host of bookings for people who want to travel at the last minute, and regularly include airline tickets in their bargain offers. These reduced tickets will have strings attached, and you should not expect to get the same deal as you would for a traditional airline fee reduction. So for example you may be able to pick out a flight that you want, but it will be provided from a smaller airline, or the flight will depart at a time which would be inconvenient for many passengers. However, if you are prepared to make sacrifices, you should be able to get a reduction even on last-minute flights.